Case study based text intended for student, novice and experiened prehospital paramedic and EMT responders. 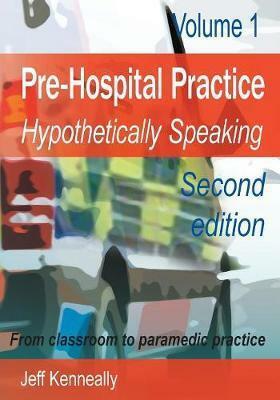 Each chapter focuses on common medical and traumatic emergencies. The easy to read blend of case study, theory and question/answer approach identifies relevent knowledge to explain and support current clinical practices. The text is strongly evidence based with particular reference to international guidelines and peak body recommendations. It is Australian in origin but easily generic to suit many international jurisdictions. It does not refer to any particular agency or ambulance service but could easily represent most. This is volume one of a three volume series. It is currently in its second edition format having proven succesful and popular throughout Australian systems. Of particular value in the chapters is that this material was written by a long serving intensive care paramedic and university educator. The experience detailed within is real, relevant and answers the questions so commonly asked by practitioners. It looks not only at the critical questions of what should commonly be done, but also recognises there are frequently multiple options to consider. It further recognises that the prehospital world is one of imprecision, urgent decision making and minimal information. Within these bounds, the text addresses the uncertainties facing prehospital responders and provides safe and effective strategies. Edition Statement 2nd Edition ed.